There's a rumor going around that Bernie Sanders's Medicare-for-All plan would cut provider payments by 40 percent. It's an absolute lie. I have probably written too many pieces about the Mercatus Medicare-for-All study (1, 2, 3, 4, 5, 6), but I am nonetheless not done yet. One of the claims that keeps popping up in the coverage of the study is that the Sanders plan would cut provider payments by 40 percent. This is absolutely untrue, and the study does not say this. Although the report’s author, Charles Blahous, conveniently omitted the actual provider payment cut, a reverse-engineering of his tables indicates that it is only 10.6 percent, not 40 percent. Before getting into how I arrive at the 10.6 percent estimate, it is useful to emphasize that the claim that Sanders’s plan cuts provider payments by 40 percent is so absurd that you would have to be innumerate to think it was true. Blahous’s score of Sanders’s plan (Table 2 of the report) says that the provider cuts amount to $5.3 trillion between 2022 and 2031. If $5.3 trillion represents 40 percent off the baseline no-cut provider payment rate, then that would mean Sanders’s plan only pays providers $7.96 trillion over this period ($5.307 * 0.6 / 0.4). Yet the total health expenditures in this score are $57.6 trillion. Needless to say, there is absolutely no way Sanders’s plan only pays $7.96 trillion out of $57.6 trillion (13.8 percent) to health providers. That is totally absurd, and so the 40 percent figure is also totally absurd. There are still other ways to see how totally nuts this claim is. For instance, Blahous provides two scores in his paper. In one of them, he does not reduce provider payment rates at all. That score puts the total price tag at $62.9 trillion. In the other score, where some people are saying provider payment rates are cut by 40 percent, the total price tag is $57.6 trillion. So, the difference between cutting provider payment rates by 0 percent and 40 percent is the difference between $62.9 trillion and $57.6 trillion, a difference of 8.4 percent? Again, completely absurd. In order to figure out what the real number is (more or less), what I did was go into Table 2 and start with the line that says “currently projected personal healthcare spending.” This line represents total national health expenditures minus expenditures for research, structures, equipment, and insurance administrative costs. Put differently, this line roughly represents payments to providers and payments to drug companies. The report says “prescription drugs account for only 10 percent of total national health expenditures.” So I take 10 percent of the line in Table 2 that says “currently projected national health expenditures” in order to get a dollar value for drug expenditures. I then take that value for drug expenditures and subtract it from the “currently projected personal healthcare spending.” The resulting figure should be equal to currently projected provider payments. I add on to that the estimated increase in utilization provided in Table 2 to get the provider payment level that would obtain under Medicare for All without any provider payment cuts. From there, I go to the line in Table 2 that says “Applying Medicare payment rates,” which tells you how much lower provider payments will be under Sanders’s plan. I then take that value and divide it by the provider payment level arrived at in the prior paragraph. The result: under Sanders’s plan, provider payments go down by 10.6 percent between 2022 and 2031. One way to double check if this figure makes sense is to see if it more or less lines up with Medicare reimbursement rates. Since Medicare for All sets all reimbursement rates at the current Medicare rates, then the provider cuts should basically be equal to however much below cost Medicare reimbursements are set. Thankfully, Blahous provides this figure on page eleven: “For example, in 2014, hospitals were reimbursed just 89 percent of their costs of treating Medicare patients.” If Medicare reimbursements are set at 89 percent of costs, then that suggests Medicare for All will cut provider payment rates by 11 percent, which is virtually identical to my 10.6 percent figure. If provider payments go down by 10.6 percent, then that means doctors and hospitals will have 10.6 percent less money to work with on a per-patient basis. That could cause a strain (or at minimum cuts in salaries) if they cannot find a way to cut operational costs. But they absolutely should be able to cut operational costs. As Austin Frakt pointed out last month in the New York Times, American hospitals spend 25 percent of their revenue on provider-side administrative expenses. By contrast, Canada and Scotland, both single-payer systems, only spend 12 percent. A single-payer system like Medicare for All would make it much easier for hospitals to do their administration because they would only have to bill the national health insurer rather than deal with all sorts of different insurers and uninsured people. If they can get their administrative costs down to Canadian levels, that would represent a cut in their operating costs of 13 percent, which is more than the 10.6 percent cut in provider payments. What this means then is that the Mercatus score of Sanders’s plan, which finds that it saves $2 trillion over the first ten years, is absolutely plausible, contrary to the public messaging campaign Mercatus has been waging over the last two weeks against their own study. More than that: it seems conservative. 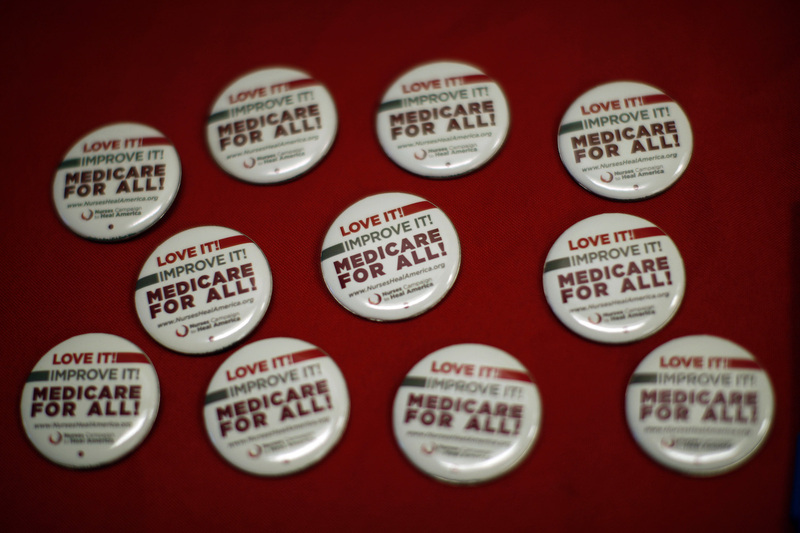 An aggressive single-payer plan would not just cut provider payments in an amount equal to provider-side administrative efficiencies, but would go even further and cut them up to the point of pushing down exorbitant doctor salaries. And in that more aggressive scenario, the savings would be way more than the $2 trillion projected by the Mercatus report.